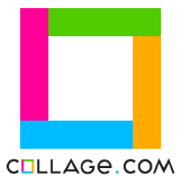 Collage.com is very simple to use. You create an account and then choose the photo book. Everything is labeled out for you to pick where you want to upload your photos from. I am always posting my best photos on Facebook so I loved that I could just upload my pictures from there. You can even upload from your computer as well. 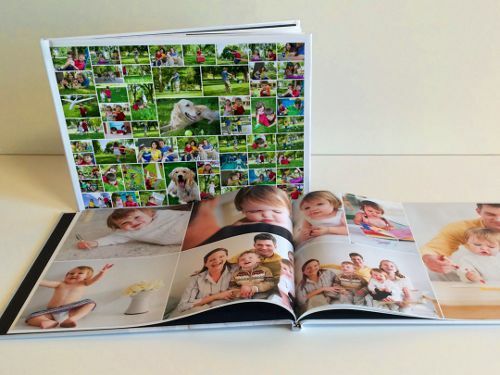 Once you pick out all the pictures you want to put in your book you can then start placing them. There are many different background designs you can choose from to place your pictures on. You can add one picture or a whole collage of pictures on each page. There is also an option to type a title on your page. I made a little story on the first of mine since I made it a family book. There are options to help you randomize your pictures on your page if you do not feel creative enough to place them. I did 20 pages and the process probably took me about 30 minutes once I picked out all the pictures I wanted. Everything is so easy to do, it is just choosing from all of the options.